Recent NewsTree Root Pipe Blockages: How to Get Rid of Them Plumbing Leaks: How to Know If Your House Has One 4 Problems That Can Occasionally Occur With Tankless Water Heaters Preventative Maintenance Makes Financial Sense Why Are Leaking Pipes Such a Big Deal? Plumbing systems are often taken for granted until a pipe suddenly bursts or a sink fails to drain. Pipes and other plumbing fixtures are also subject to wear and tear over the years so there will come a time when you’ll need to have them repaired, hopefully by the best plumber in your area. However, this doesn’t mean that you should only pay attention to your plumbing system when it needs repair. Oak Plumbing shares below why you should have your plumbing system regularly inspected. If there’s one thing in your home that you almost never see but can cause major headaches in the event of a problem, it’s your main sewer line. It’s where all waste water from your home passes through. Clogged, it can lead to sewage backing up into your home, causing major issues, including health problems for you and your family. Unfortunately, the main sewer line is sometimes several feet underground. If it needs to be replaced, then you’re looking at hundreds of dollars in costs, maybe even more depending on the extent of damage. 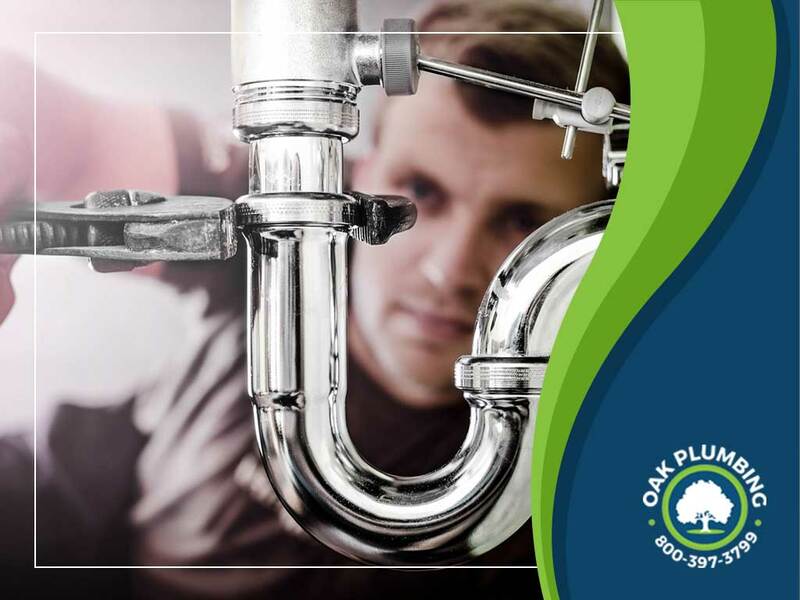 Regular inspections by the plumbing experts at Oak Plumbing can prevent major problems from occurring, saving you the cost and inconvenience associated with replacements. Your home’s water lines run from a main line and into your kitchen, bathroom, laundry and other areas that require water. These lines can deteriorate over time, as they are susceptible to damage from regular wear and tear and misuse. Damaged water lines can then result in water leaks, driving up water consumption costs for your household and creating structural problems on your property. Regular plumbing inspections can identify leaks early, letting you address them before they worsen and cause further damage to your home. Schedule an Inspection With Us Today! Need leaking kitchen faucet repair? Considering a complete plumbing overhaul? Oak Plumbing is the name to call. To get in touch with us, simply call 1-800-397-3799. We serve homes in Vacaville, Benicia and the surrounding CA communities. Copyright © 2019 Oak Plumbing Inc, All rights reserved.